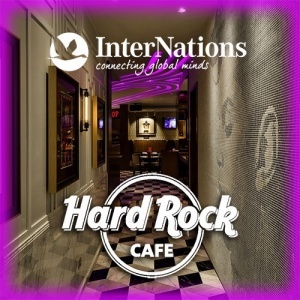 Get ready to experience one of the most iconic brands in the world that was made famous by legendary rockstars, Hard Rock Cafe. Hard Rock was opened in London by two shaggy-haired Americans in 1971. By 1973, Paul McCartney (from the Beatles) and The Wings performed at the first HardRock and now they are known for their live music world-wide. Come and explore the amazing new Shanghai HardRock (mulit-level) location with it’s plethora of Rock n’ Roll memorabilia hanging on the walls. It’s sure to be a great time! I mean... it’s HardRock! Of course it will be a good time! Make sure to bring plenty of business cards and meet wonderful people from all over the world.